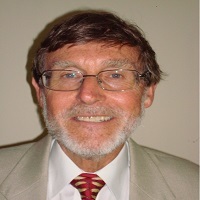 Martin Fry has been in the energy management consultancy business since the 1980s. He now plays a major role in international energy management standards, chairing committees for the British Standards Institute and heading UK delegations to international drafting committee meetings. One series of these led to the Energy Management Systems Standard ISO 50001, published in June 2011 and now being updated. He was convener for the international energy auditing standard, ISO 50002, published on 1 July 2014. He is also convenor for the European audits standard EN 16247, which is due for an update in 2018. Martin is a Visiting Professor at City, University of London where he was funded by the Royal Academy of Engineering to develop and lead the Energy and Environmental Technology and Economics Masters Degree, set up in the nineties. He still continues engagement with the course, running modules and supervising dissertations. For many years he introduced final year undergraduate and masters’ engineering students to the practical side of energy supply, usage and demand management. Martin is Hon President of ESTA, the Energy Services and Technology Association. This is a demand side membership organisation, very much engaged in raising the profile of the demand side and addressing benefits of energy efficiency. He is a former Council Member of the Energy Institute. At the Sustainability Live, Environment and Energy Awards Ceremony in April 2013, he won the Outstanding Contribution to the Energy Industry Award. In October 2013, he was awarded the British Standards Institution Distinguished Service Certificate in appreciation of valuable contributions to the development of British, European and International standards. Regarding publications, Prof Fry has a long list of articles, papers and publications, which can be made available.